For full vendor credits, please pick up a copy today, or check out the full post on the Weddings Unveiled blog. To see the AMAZING film from the wedding, please check out our dear friend Life in Rewind. 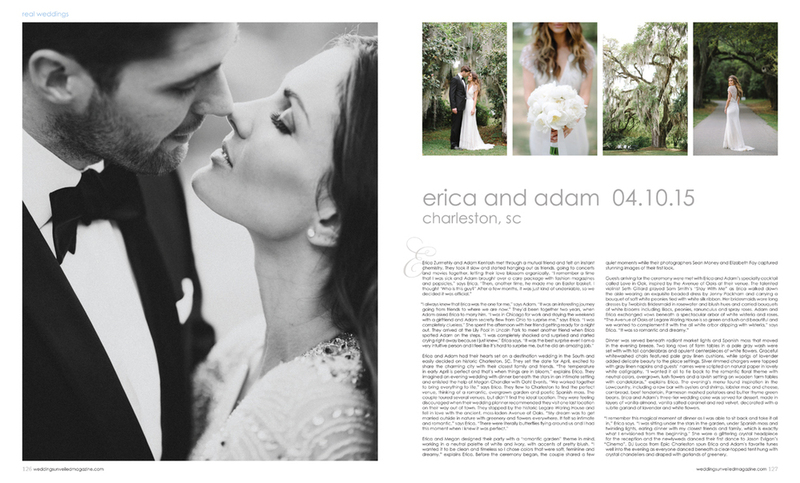 We are SO excited to have not one but TWO of our fabulous couples featured in the current summer issue of Charleston Weddings Magazine! 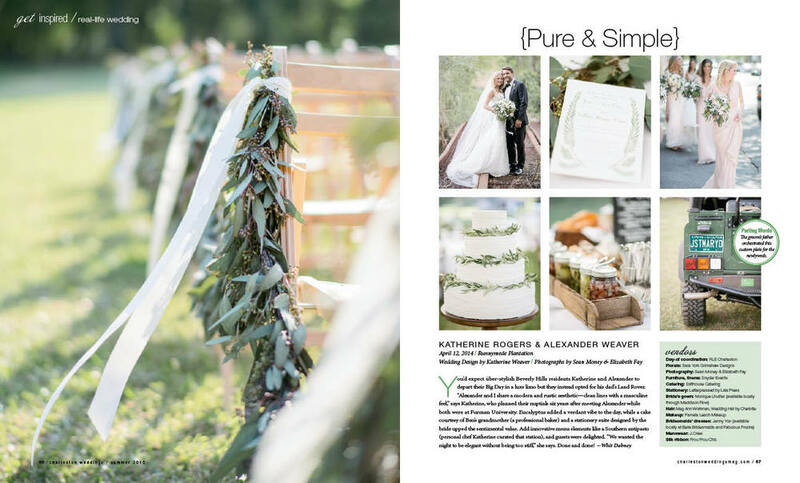 Katherine + Weaver's dreamy Runnymede Plantation wedding last April was perfection. Stay tuned for more images from this gorgeous affair in the near future. And talk about an awesome combination of colors and patterns with Jill + Alex's gorgeous Kiawah Resort Ocean Course wedding. This feature is really just a small taste of all the awesomeness, so to see more from this colorful soiree, check out the extended feature on The Wedding Row.